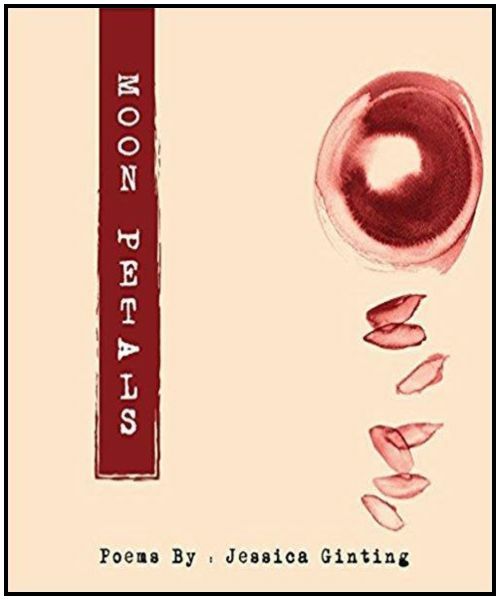 Moon Petals is the exciting New Age work of emerging poet Jessica Ginting. Jessica Ginting is from Jakarta, Indonesia, studying English at the University of Bristol. She has been published by Anak Sastra, a Southeast Asian literary journal and by publications at the University of Bristol. She is also one of the founders of Inkling: A Bristol Literary and Creative Arts magazine. This poetry is elaborate with full-bodied descriptive lines of everyday landscape that centers on Indonesian forest imagery, imagery of the city, love poetry, Haiku and the everyday landscape celebrated. The poetry is round, in square spaces, in the beautiful esprit of the childlike feminine. The connected narrative weaves in and out of the first and third person, introducing a wholeness that is perhaps illusory. However, as an emerging writer her style will morph and develop as she keeps writing. “Decomposition” and “Nature is a Masochistic Botanist” are poems of broken love relationship that paint a beautiful Asian sensibility illustrated by nature imagery and a certain sacred in the profound. “I brought flowers today – a handful of hibiscuses. You wanted the color without the thorns, the red without the blood. I’m sorry I couldn’t find roses. I’m sorry for dropping them on your shoes. And the strings of my violin twist into something new. Words are no longer trapped in letters. Meanings, no longer trapped in words. I am no longer confined. A talent in it’s beginning dance with the universal sky, poetry like cake, shows great promise. I am looking for more from this writer, Moon Petals by Jessica Ginting.